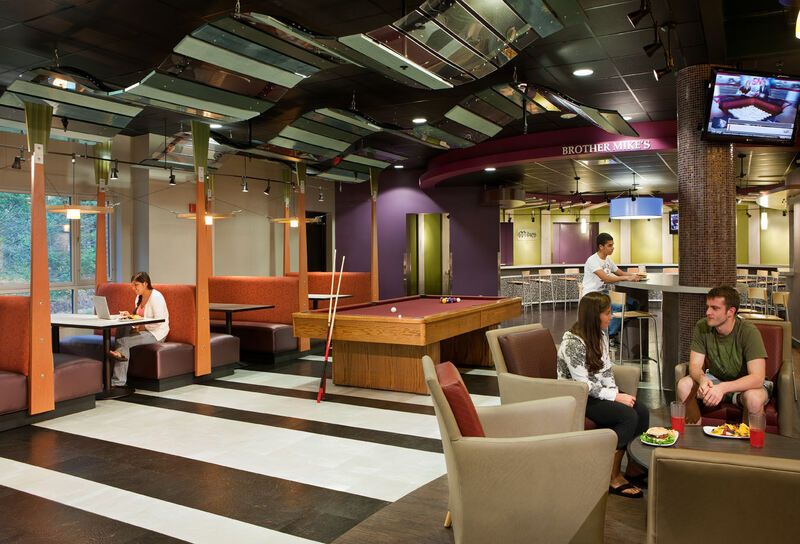 Renovation of 8,000-sf dining commons and pub including new kitchen and 360 degree food service platform and stage. 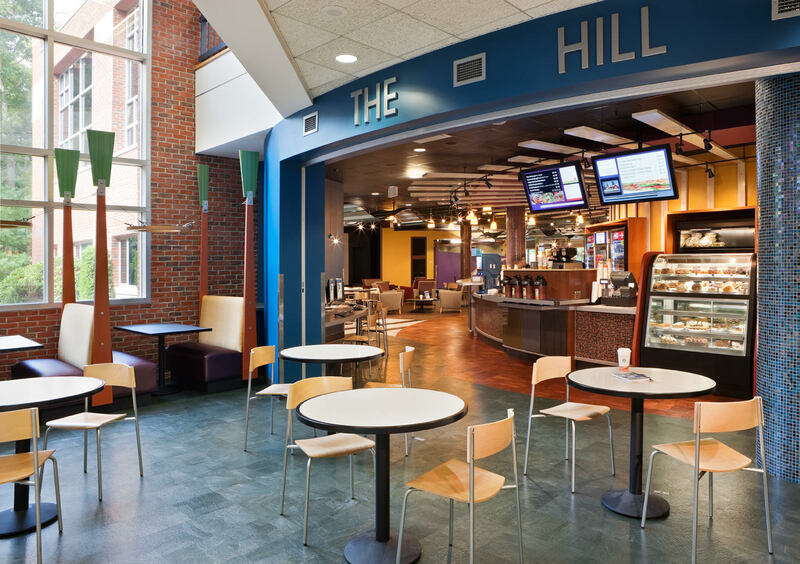 The Hill Café, located in the Roche Dining Commons became the primary social space on the Stonehill campus. 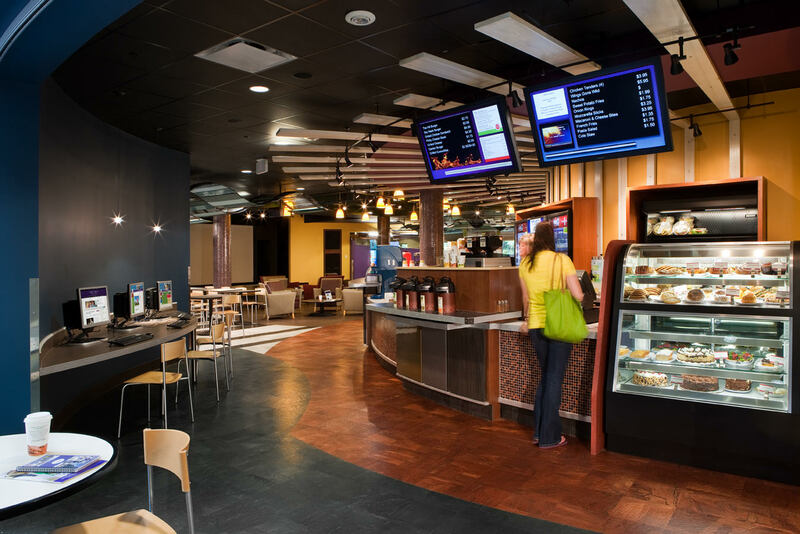 Serving as the college’s main retail dining facility, it doubles as a primary social and entertainment venue, hosting events and performances. The transformation includes a 360 degree food service platform, a new kitchen and a pub. 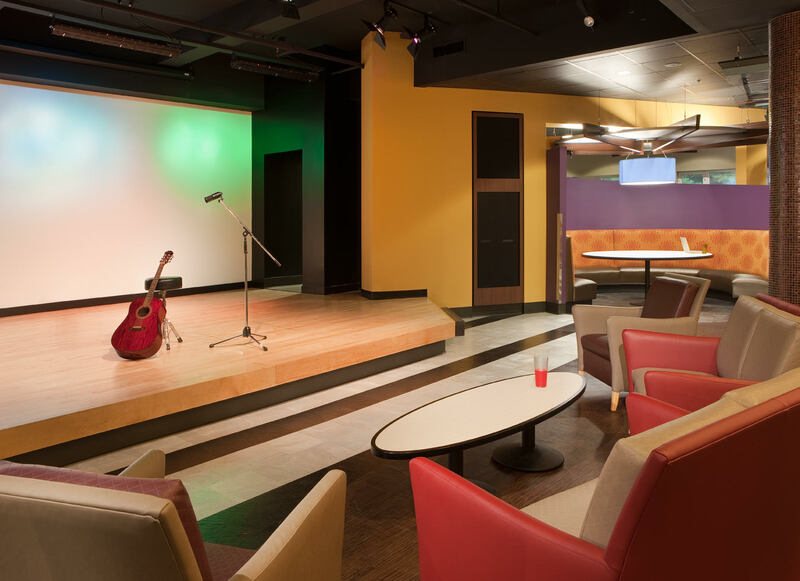 The social environment was developed further by the addition of a stage area created for performances and events, a dance floor, raised seating, and back-of-house functional prep area. 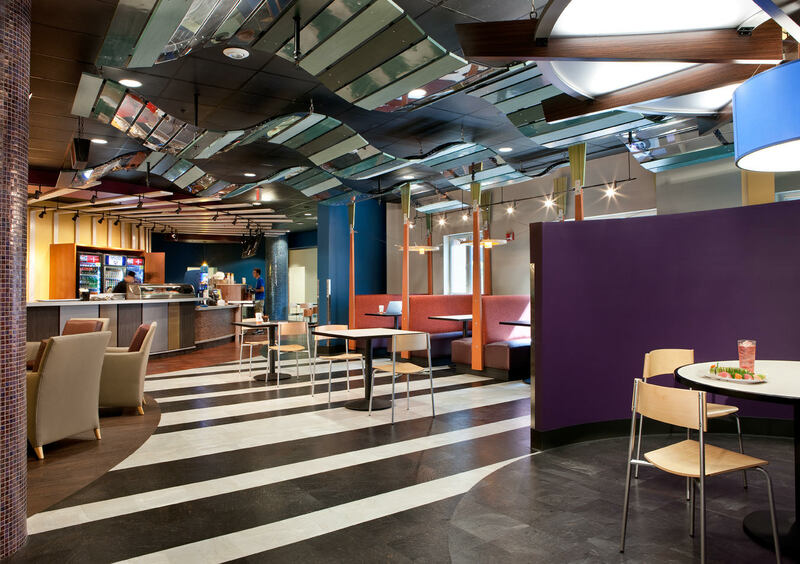 Graphic floor patterns and floating ceiling components helped break the space into a rich variety of seating options and social opportunities.